there was this little housewife living in a hot dry desert land. She worked and slaved every day for her husband, her only purpose in life - to make him happy. It was a daunting task, but she knew in the end she would prevail. Her husband worked so hard every day trying to make a living in this hot dry desert land. He longed to make tons of money so that he could send his wife on fabulous trips to Spain and Italy and Scandinavia. He also wanted money to buy race cars so he could watch his son and grandson have fun every weekend at the local racetrack. He worked and worked and barely, just barely, made enough to enjoy his life in this hot dry desert land. One day the little housewife had a plan! 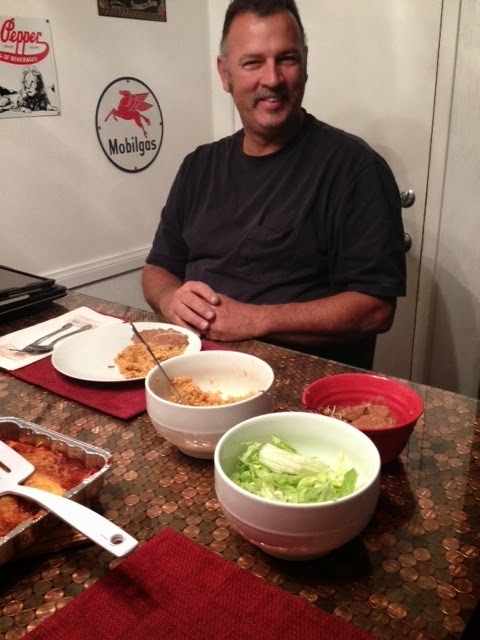 She would learn to cook his favorite meal so that they did not have to spend money every Sunday going to the local mexican restaurant, where her husband enjoyed feasting on enchiladas, rice, and beans, oh, and beer, chips, and salsa. She scoured the internet, combed the grocery shelves, there had to be a fabulous enchilada sauce out there that her husband would be happy eating! She came upon a Homemade recipe, and 2 canned versions. Sunday night approached and she eagerly told the husband "tonight we stay home and save money". 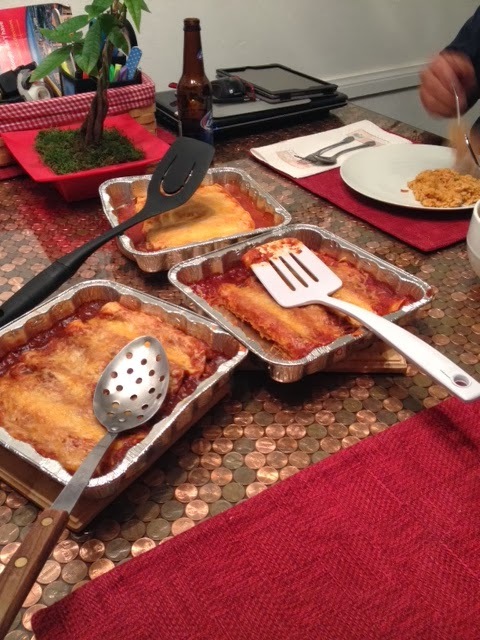 She had prepared 3 pans of 5 enchiladas each! The first pan had the homemade sauce. The husband tried it, "too sweet" he said. The second pan was made with M(indian head)P sauce, medium. The husband tried it, "very spicy, good kick, smokey flavor" he said. The third pan was made with Old El Paso medium sauce. The husband tried it, "very mild and plain but tastes like a restaurant sauce" he said. So in the end, the little housewife decided she had to keep searching for that perfect sauce that would make him swoon with delight! Stay tuned for the sequel to "The Tale of 3 Enchiladas"! 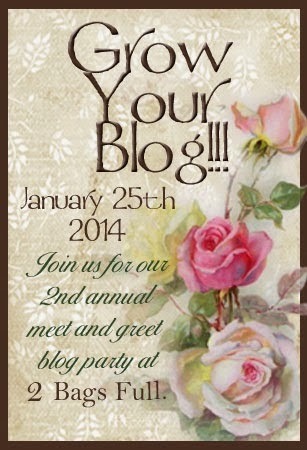 Welcome to the blog party!! Blogging is so much fun, I have met some wonderful people through blogging! I love to sit and read my favorite blogs while sipping a hot cup of coffee, everyone is so full of ideas and information, you can learn so much from others, but remember to always have an open mind and never be critical of others, just enjoy their process. Blogging for me is like writing in a diary, it is my memories and I am getting them down for future generations to read and learn and know what my life was like. I know it is not too exciting but it sure is fun! And it is a great release, I am a big believer in talking things out, get it all out there on the table, less stress and frustration if you can write it or say it! Me dog sledding in Alaska! 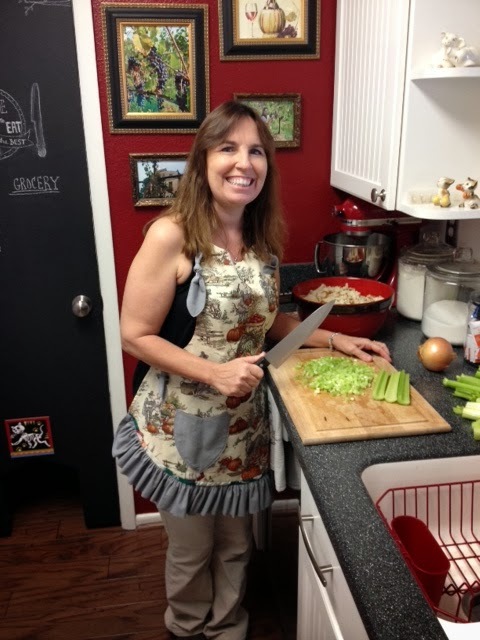 Me cooking in my little Vegas kitchen! My blog is all about my travels, my life in Las Vegas, my cooking skills or lack there of. 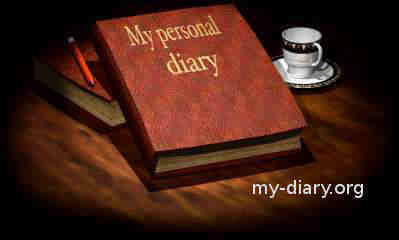 I hope you decide to take time to read my blog or some new blogs and follow mine or someone else's. It is a big wide world out there and you never know who or what you will find. 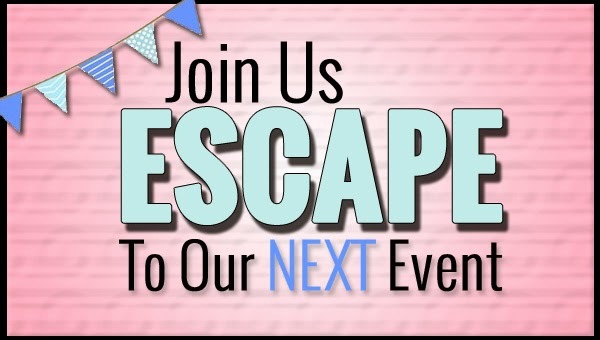 Some of us bloggers are giving away prizes just for stopping by the party, so if you would like to be entered in my give away you can leave a comment or you can follow my blog, comments are at the bottom of the post and following is on the sidebar. You can do one or both, up to you. 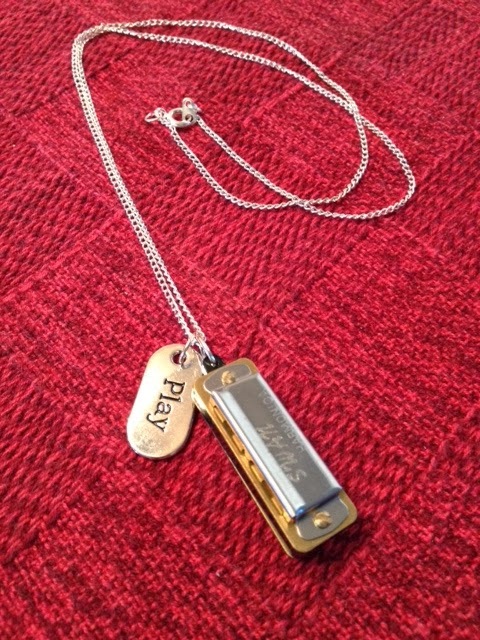 Names will be put in a hat and the winner will be drawn Feb. 15th! 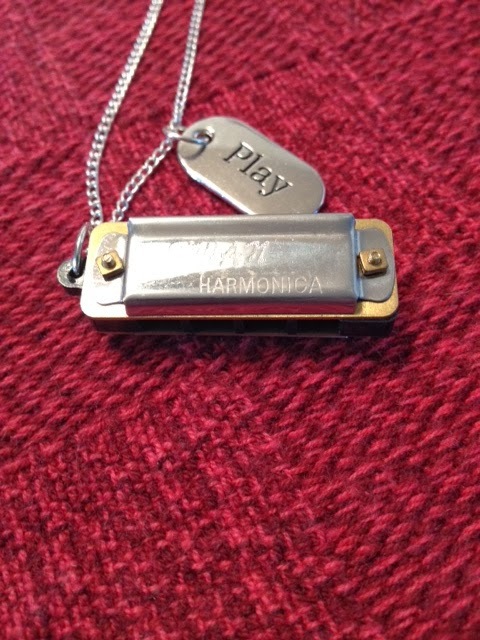 My world famous Harmonica necklace! Only 1 1/2 inches big and it really works! Thanks for stopping by and enjoy the party! Well, it's that time of year. I get the blues, don't feel like doing anything, not motivated. I think I was a bear in a former life and I need to hibernate all winter. American idol is back and they finally figured out that it should be about the music and not the over inflated egos of the judges!! I can resume watching, now that the bat crap crazy people are gone, yeah, I am talking about Minaj, and Mariah, the idiot divas that have no business in the business any more! They are so far into themselves they will never be found! OK, got that off my shoulders....on to better things! The judges are great, Keith, Jennifer, and Harry! They care about people, they care deeply for music and the preservation of it! I Love Harry as an actor, ever see the Jodie Foster movie he did, he was great, check it out, Little Man Tate. I really enjoyed watching them judge last night on the opening show, they have fun, they hate hurting peoples feelings, and they know when they hear something special in someones voice! I can't wait to see what happens at the end!! So if you were one of the ones who followed Idol until they lost their way, try it again, I think it will be a good show again! OH, one more thing...if you are a person who thinks you could be a singer, study up on music, not just one singer, learn it all, from the greats of every genre to the obscure, don't just sing the latest hit that everyone is sick of hearing, search out a classic oldie but goodie, a song that stands the test of time, then sing your heart out with it, you may go far! AND it is ridiculous that these young people who say they love music, have no idea who Harry Connick Jr is!!! UGH! You do not care about music if you only know the top ten!! Jeepers!!! I have 3 scrapbook trips planned and a scandinavian cruise this year. I can't wait to sail the seas again! My hopes for my blog....that I can show a bit of Vegas life, some fun travels, share some more great food, oh, I am trying to get my posts labeled so if you need to find a recipe you can click on a link on the side and get it found! I am finding some great recipes on pinterest, I love to make new meals with only tried and true recipes and pinterest has been great for finding some real gems! I am in fact eating "cheeseburger soup" for breakfast right now, one of my favorites I found on pinterest! The recipe is a couple posts back if you are interested! It is fabulous! I have so much fun playing on polyvore and pinterest, I have no idea what I did all day before I found them! Like I said, I love to have fun on that site!! Well, that's all the news I have today, hope you have a fun weekend!